Be the belle of the ball in Madison James 19206! 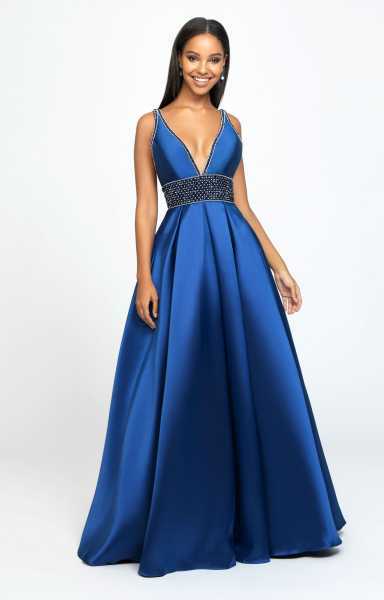 This class A-Line style has a v-neckline and open back. The Mikado fabric gives off a slight shimmery effect and the beaded and embellished belt line add just the right amount of sparkle!